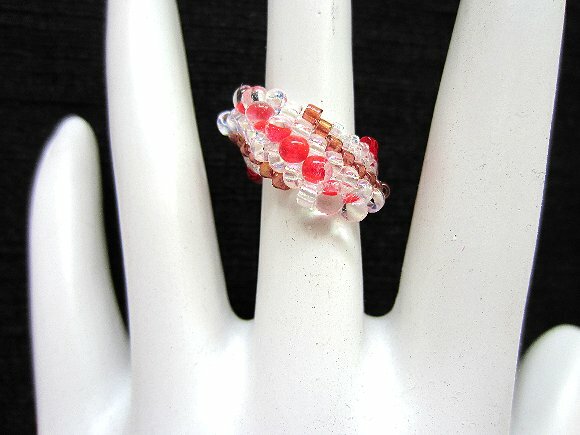 I've made this ring using different sizes and shapes of beads to make a wave pattern that's as distinctive as it is pretty. I've used primarily red beads, plus a touch of bronze and clear. 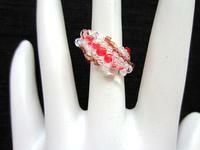 This ring is size 6, but I've others posted in different sizes and colors. 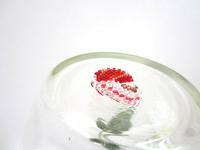 If you don't see the color or size you'd like, feel free to contact me for a special order. You can see from the fourth image that these rings needn't be worn solo; indeed, their shape makes them naturals for stacking. 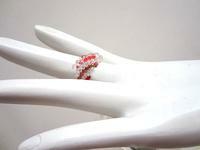 Be sure to see all our beaded rings here at SPARKLE PLENTY.